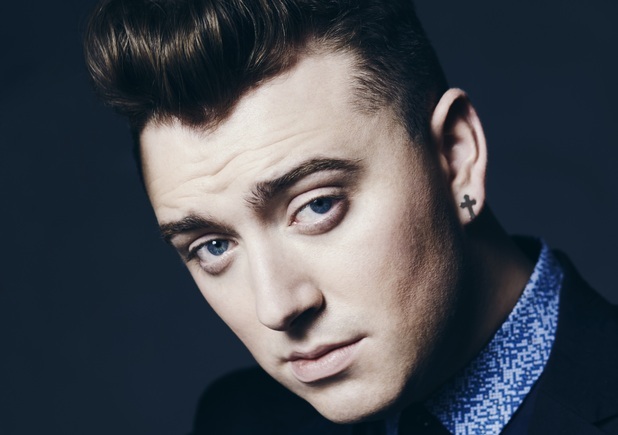 Sam Smith cancels tour due to vocal cord hemorrhage! …he’s unfortunately suffering with a vocal cord hemorrhage! 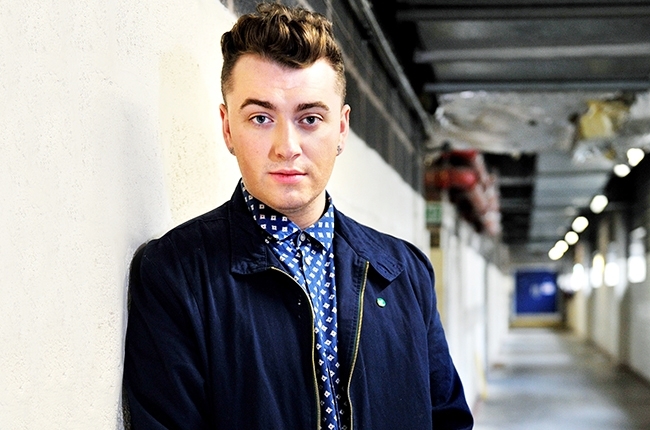 Sam has been diagnosed with a hemorrhage to his vocal cords and he’s forced to cancel the rest of his tour in Australia including a performance this Sunday night at the TV industry’s annual Logie Awards. 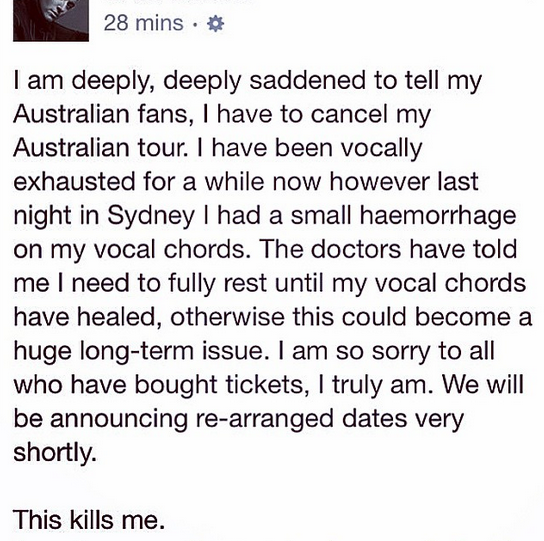 Sam had to cancel his sold-out shows in Sydney, Melbourne, Adelaide, and Perth but his new tour dates to replace those canceled dates will be announced soon!! His tour schedule will resume in December according to sources, but I would just wait about a month and see, if I were you, just to be sure of when the dates will be for the Australia tour. Two incredibly talented men! I looooove it! I’ll admit that it makes me nervous when such talented singers undergo surgery on their vocal cords. It makes me a little uneasy, but I trust the doctors will do their best to help Sam get back to full health. I haven’t heard of very many procedures not working when it comes to surgery nowadays with the innovative ways of performing it. It’s a crazy world we live in and the technology keeps getting better! What’s funny is that I was just talking to someone the other day about how vocal problems often happen to these singers who explode onto the scene because they are required to sing so much and their schedules are exhausting! Just look at Adele! It certainly is stressful when you’re thrust into stardom! I wish Sam the absolute best & come back to Nashville soon! CMA Fest announces more free shows! VH1 Save The Music hosts town hall meeting May 7th!